Unique Gems of Dartmoor Photography Workshop and Guided walk. Capturing the hidden magic of Autumn on Dartmoor. To make the most of the enthralling photographic opportunities Dartmoor offers at this time of year we have teamed up with acclaimed Dartmoor guide Paul Rendell (www.paulrendelldartmoor.co.uk) who will walk and talk with us as we visit some beguiling destinations that are off the beaten track where I will teach you how to capture stunning images. Vivid colours and atmospheric sunlight go hand in hand with Dartmoor and will be ablaze with an astonishing palette of vibrancy. I will teach you how to make the most of Dartmoor, from selecting locations to making use of the light and capturing the atmosphere during the ‘golden hour’ when the sun lights up the sky but is hidden behind the horizon. We will walk to destinations that offer a kaleidoscope of colour, taking advantage of the opportunities that cross our path discovering those Gems of Dartmoor. It might be an ancient clapper bridge, a stone cross, an ancient Bronze Age settlement or a hut circle, where folklore and myths shroud each place in mystery. While Paul unravels the mysteries of each destination I will give you hints and tips about composing great images along with all the technical detail required such as settings, composition and light. This workshop is an extraordinary opportunity to learn about the Hidden Gems of Dartmoor and the fundamentals of great photography enabling you to capture its unique scenery. 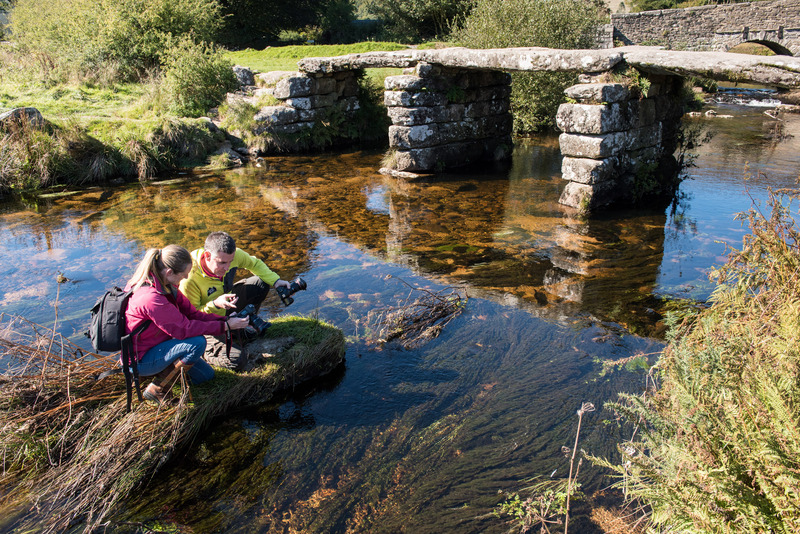 It is ideal for entry-level photographers or more advanced photographers with the overall aim to increase your photography skills while igniting your passion for Dartmoor. Full details of destinations set out nearer to the day based on weather forecast. The price for this unique Photography Workshop and Dartmoor guided walk exploring the Hidden Gems of Dartmoor is £125.00 per person.